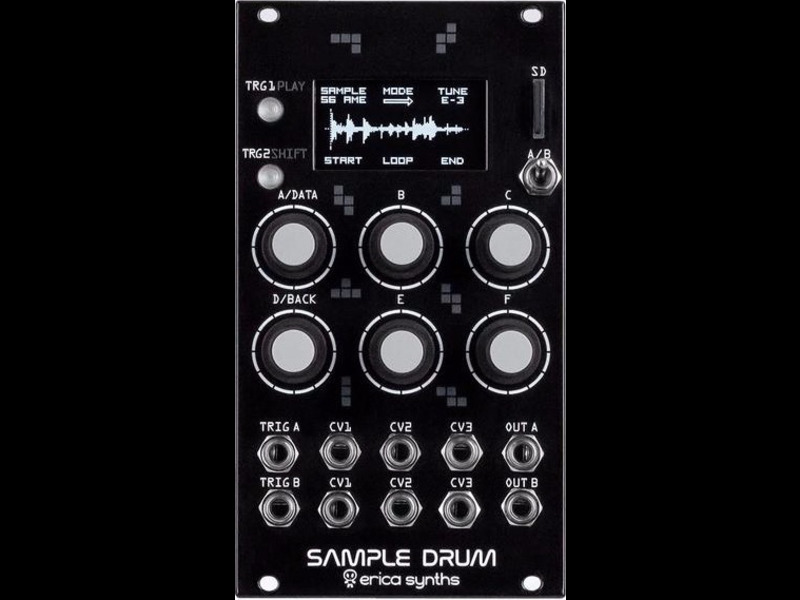 Sample Drum allows you to slice up loops directly in your modular system and rearrange them to taste. For processing, there are tuning functions (including 1 v / octave pitch tracking) and virtual VCAs plus AD envelopes. 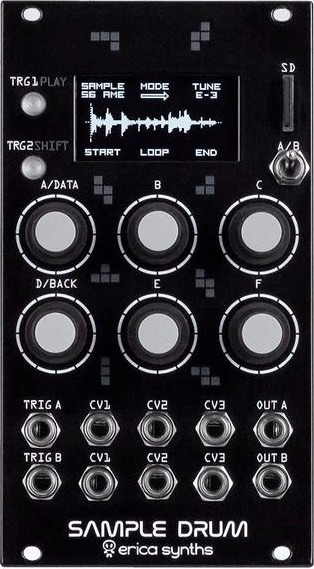 Thanks to the module’s dual-channel concept, two loops can be combined. It is also possible to load one-shot samples instead of entire rhythms, of course. A total of six CV inputs guarantees lively results. 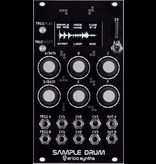 Sample Drum is composed of two identical audio players. WAV files (including cue points) are fed to the module via a micro SD card. Loops can be cut into several sections using the Data, Start and End potentiometers. The resulting slices may be played back in any order imaginable. A tune control allows real-time pitch changes. Additionally, there is a virtual VCA plus AD envelope per slice. – But that’s not all! There are three CV inputs per channel, which can be routed to any parameters. It is even possible to play sounds according to the 1 v / octave standard. Results are emitted via one output per player.